Bronwyn teaches the shakuhachi from her home in the Blue Mountains (west of Sydney) and via Skype to interstate and overseas students. Lessons begin with basic tone production and progress on to simple Japanese folk songs. Once the student has some control over lower and upper octave sounds and basic pitch control, we progress on to the honkyoku or traditional Zen Buddhist pieces. 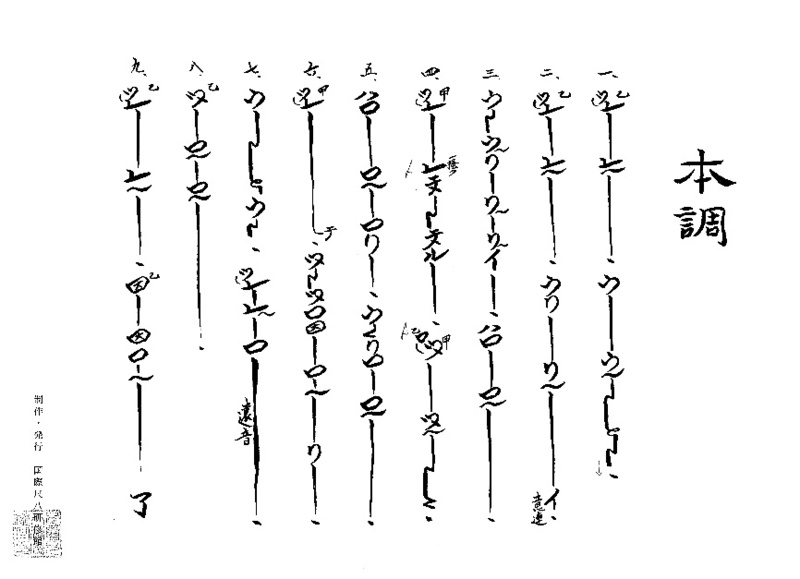 I teach the Dokyoku repertoire as transmitted to me by Kakizakai Kaoru, Yokoyama Katsuya and Riley Lee. Patience and persistence is required to learn the shakuhachi but the rewards are many. Come and experience blowing zen for yourself! Bronwyn also teaches the clarinet, having obtained her Bachelor of Music Degree in clarinet performance with Distinction, and recorder from her home studio in Katoomba and is the founder of the Blue Mountains Recorder Consort. Please contact Bronwyn for more information. Before I went to Japan I had two niggling doubts. The first, my ability as a non-Japanese person to really play traditional Japanese music, especially the honkyoku. The second, my ability as a woman to really play the shakuhachi (the shakuhachi is traditionally played by men). I came away from Japan feeling confident that both are possible if I am passionate enough and if I work hard enough! I think that I already knew these things but going to Japan was essential confirmation for me. In the end, we are all human beings trying to realise this music (and in that process ourselves), no matter what our cultural background or gender. We all have to begin at the beginning, trying to make that first sound. We all have to practise the techniques for hours a day, until those techniques finally become our liberators and our tools for a deeper expression. We bring our own unique experiences to the instrument and we express them through the bamboo in our own unique way. The source of this expression is the heart and the heart has the ability to cut through all barriers. To truly realise this music, you have to own it. To own it you have to make your own song and in making your own song, your soul and the soul of the bamboo become one. When this happens, you go beyond the duality of right and wrong and enter into the original spirit of the honkyoku as Zen practice. In the last twenty years, there has been an increasing interest from the West in the shakuhachi, as more people become exposed to and captivated by its soulful, meditative and beautiful sound. It is an ironic twist that many Japanese people are being reintroduced to their musical heritage through the sounds of a westerner playing the shakuhachi. In the period that I was studying the shakuhachi in Japan on a Churchill Fellowship, there was a student from Majorca, two students from Australia and a group of ten Canadians also studying the shakuhachi! The shakuhachi and its tradition in now world music which, in the words of my teacher Riley Lee, belongs no more exclusively to Japan than Mozart’s music belongs exclusively to Austria. When I perform, the most frequently asked question is “why did you start playing the shakuhachi?” I always answer “the sound”. A western meditation teacher and psychotherapist once said to me that the sound of the shakuhachi has the ability to cut right through to the core of the personality. In Yokoyama Sensei’s words, the sound of the shakuhachi is honest, beautiful and profound. When Mahatma Gandhi first heard the sound of the shakuhachi, he supposedly wept and said he had finally heard the voice of the dead. I believe that it can be a window to the soul.